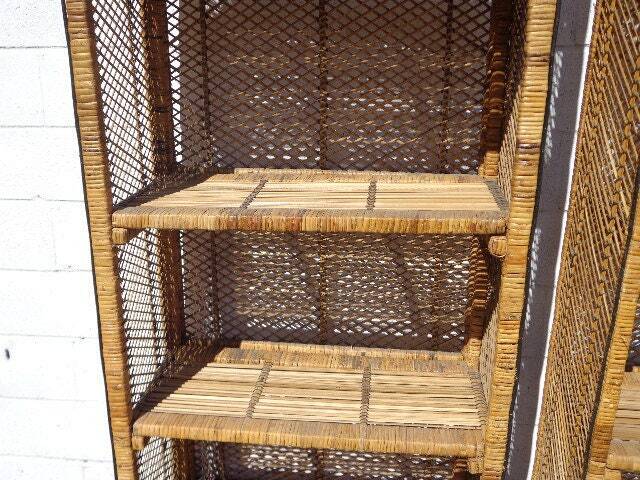 Fabulous set of 2 bohemian boho chic book cases / display cases with great style. 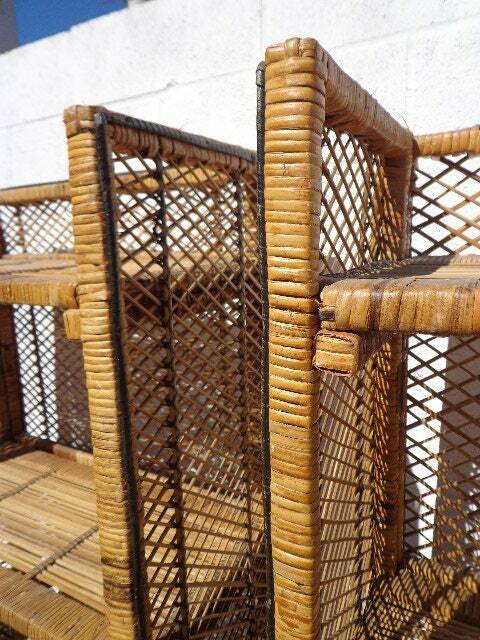 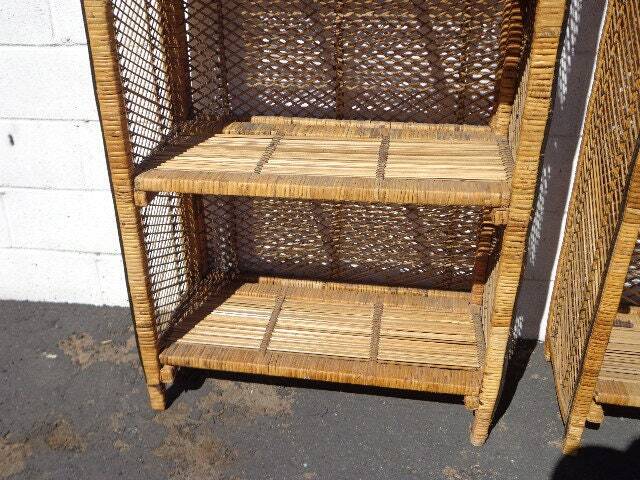 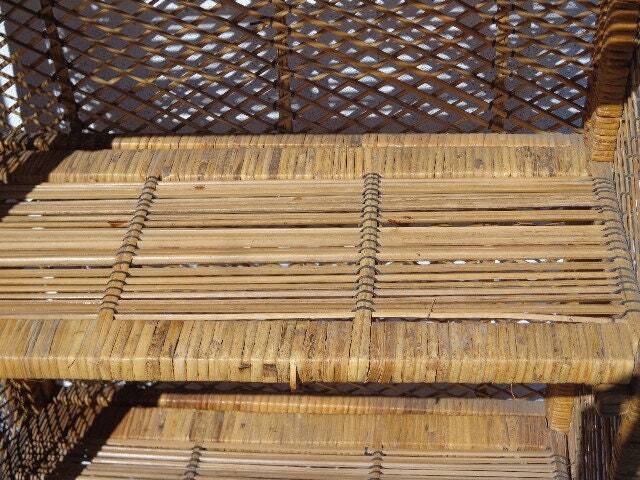 Constructed with a thick woven wicker / rattan frames with a pretty natural finish and black trim. 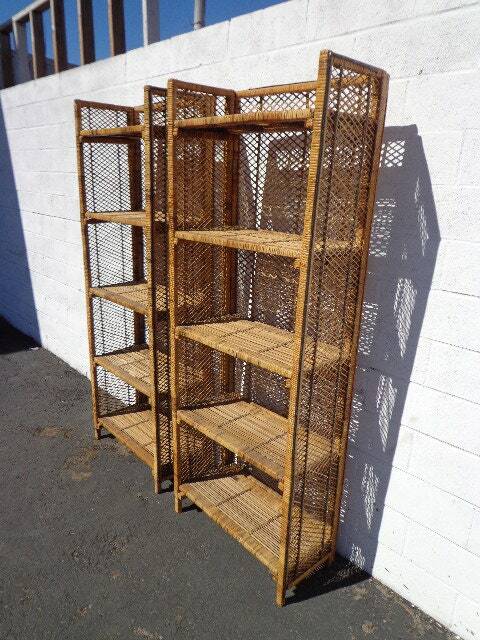 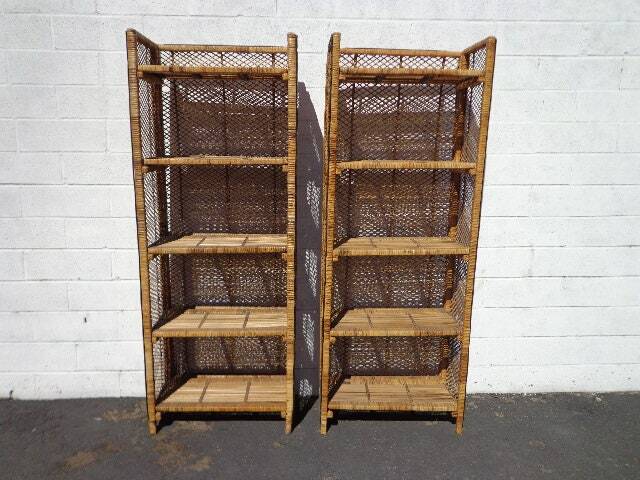 Features 5 shelves and is perfect storing and displaying various items. 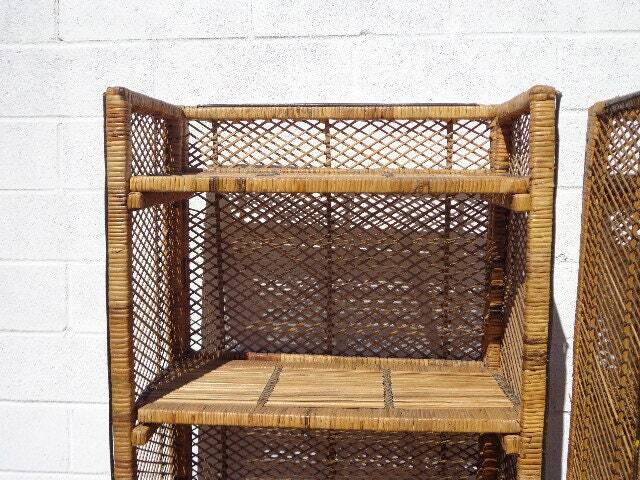 Has a very coastal beach regency look and perfect for home or office use. 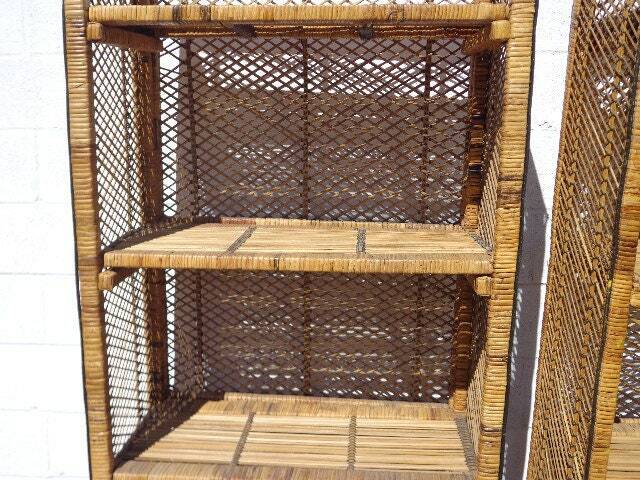 Overall good vintage condition, shows wear from use / age, and very sturdy. 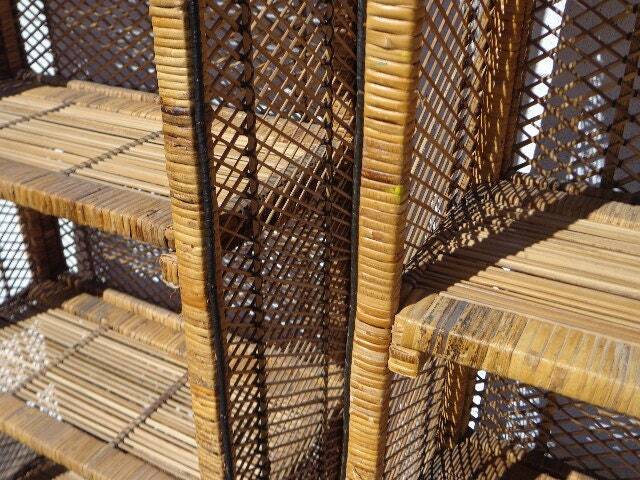 Shows surface wear and wear to the wicker / rattan in some spots. 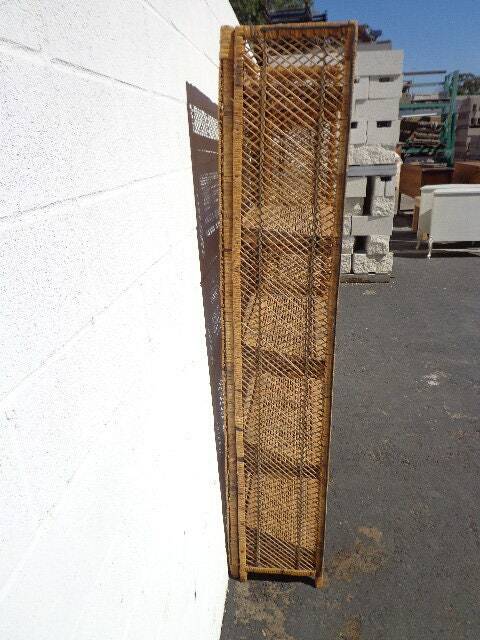 Dimensions: 24" x 12" x 66"